The Plano Mirror is a small piece, but packs a huge design punch. It features a round frame composed of mirrored tiles. The frame is deep and captures the light and makes the most amazing reflections. 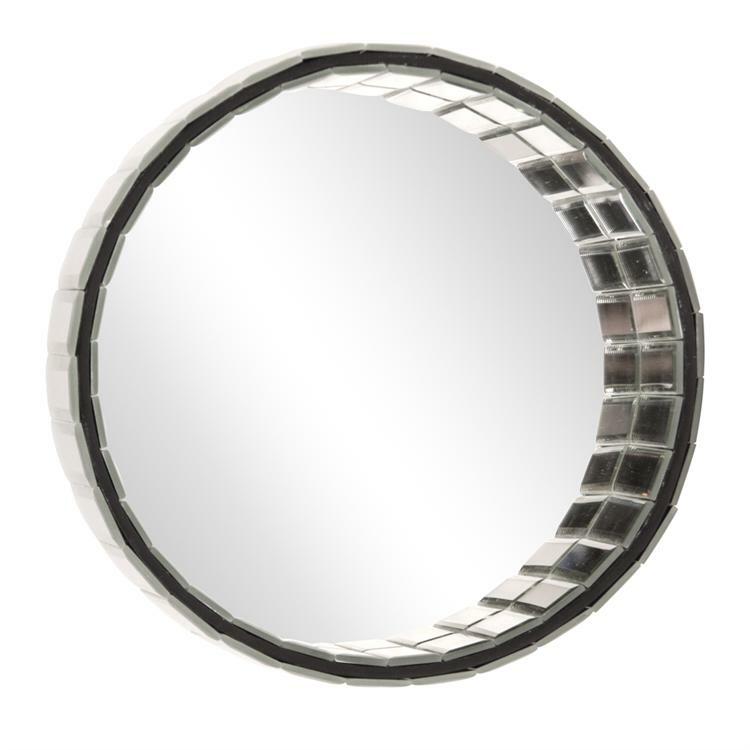 On its own or in multiples, the Plano Mirror is a perfect accent piece for any design. It can also be used as a tray or table accent. The mirrored panels of this piece are beveled adding to its style and beauty. Customizable for larger orders.